Our team are so thrilled to be working more and more with these video walls. These impressive screens can be set up in 3×3 formation or any other way you require, check out our video wall information. Video walls are proving to be a popular choice for retail outlets wanting to advertise in an awe-inspiring way, our team agree that there is no better way to stop shoppers in their tracks and see the alluring advertisements for brands available. 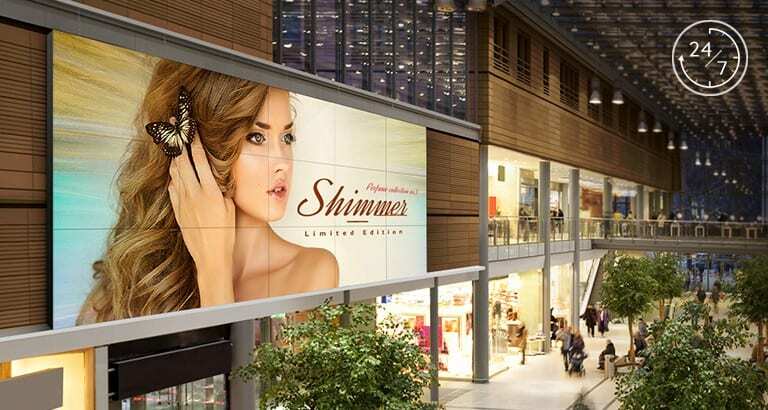 These reliable displays are designed with the best technology allowing them to be used for long periods of time, which is ideal for retail outlets. They are also suitable for a whole host of different events, ranging from, conferences, exhibitions, product launches, awards ceremonies, and many more. The video wall is an extraordinary piece of equipment which will be the highlight of any event. 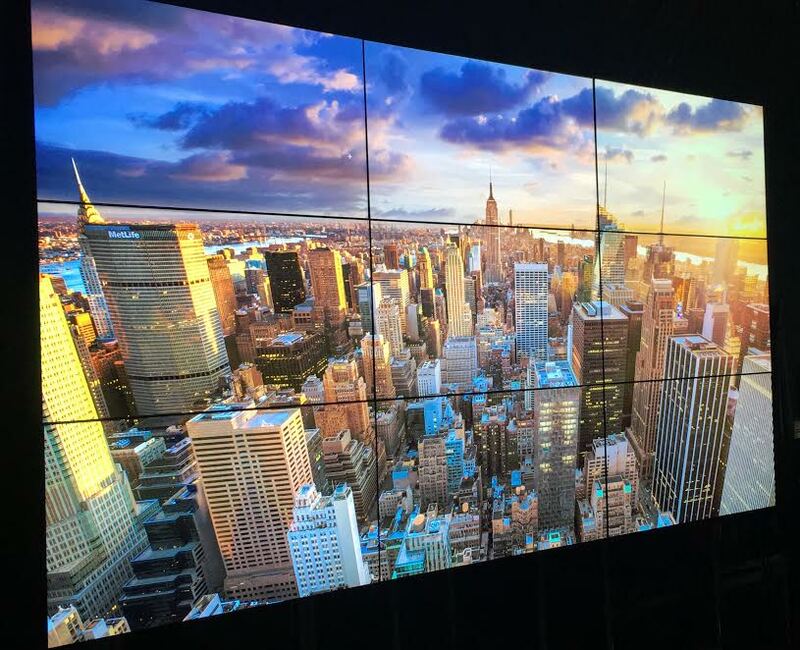 Our video walls offer 500 nit brightness to broadcast vivid and highly legible images in various lighting conditions. 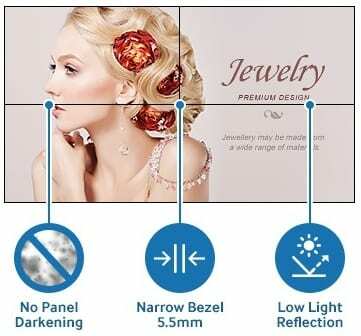 The anti-glare panel (haze 44%) also means under direct light the image quality will not be affected. The brightness and colour accuracy means that the highest quality of image should be expected, these screens really do create an amazing image to entice shoppers and audiences. The thin bezels create a seamless large scale image. This also delivers a deeper visual impact. These FHD screens are absolutely mind-blowing when assembles to a video wall. There are also options to have the screens wall mounted, should you require it. 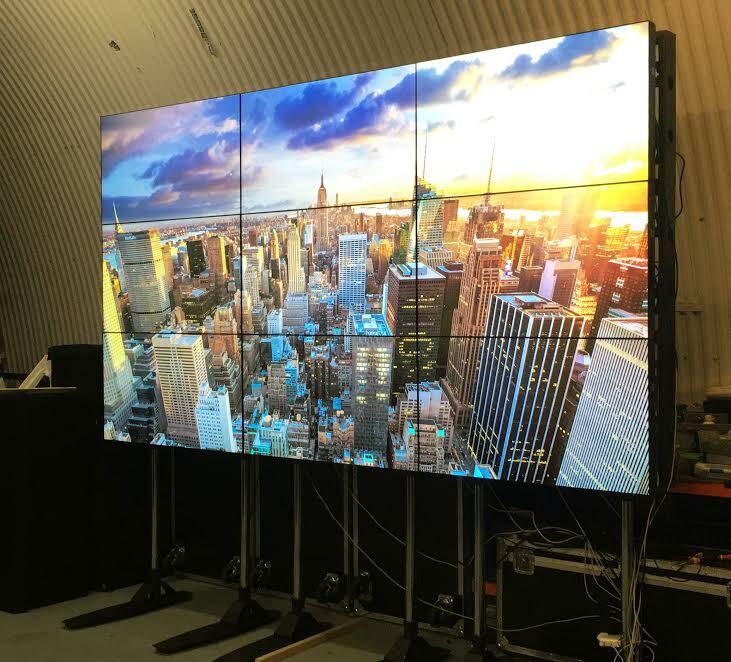 Call our team on 0207 701 9444 to enquire today about using a video wall for your event or retail outlet. Or simply fill out the necessary details on the hire enquiry form below and one of our team will contact you.